Feature trailer for The Junior Defenders. The Junior Defenders is a quirky, off-beat, cult-style comedy centering on the cast members of a fictitious 1970s mega-hit television show. 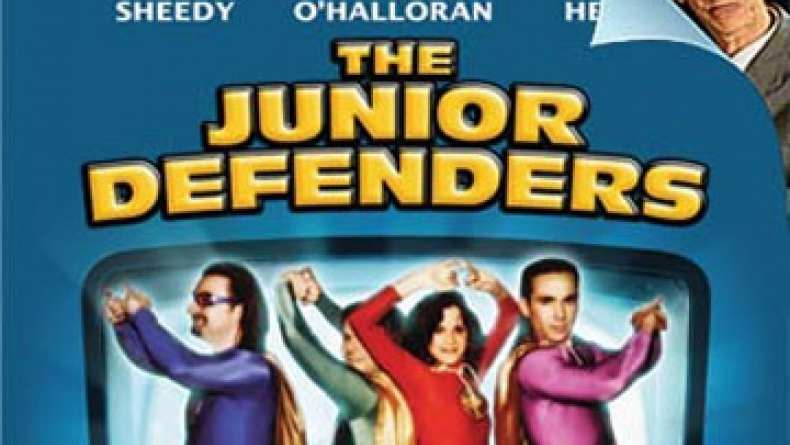 With a fan base that rivals Star Trek’s, "The Junior Defenders" is one of the top television hits of the late Seventies. Every kid in America dreams of being one of the show’s crime-fighting kid superheroes. Twenty-five years after the show’s sudden cancellation, a crazed fan named Norman Nields (Fred Hazelton) is still obsessed with the show. He has watched every single re-run and still wants more. In his mania, Norman concocts a plan to travel across the country in a stolen Winnebago, kidnapping the four washed-up former child stars from his beloved childhood program. The kidnappings spark a national media frenzy, and the kidnapped cast members instantly become celebrated as martyrs. Once in Hollywood, Norman takes over a soundstage and forces the cast at gunpoint to act in his brand-new episode of "The Junior Defenders".